I have sat down many times to write this, but I have found time and time again I just could not find the words. 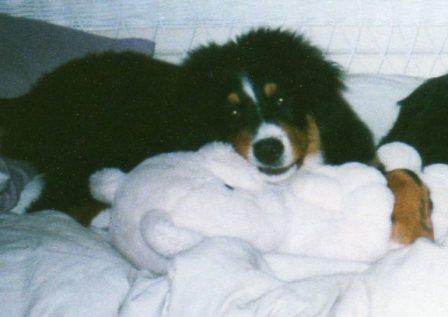 I lost my best berner friend and my companion of 12 ½ years. About two years ago I had to make the hardest decision I have ever had to make about my sweet boy Phlip, arthritis had gotten the best of him and he just couldn’t get up anymore. So painfully I had to make the decision to put him down. 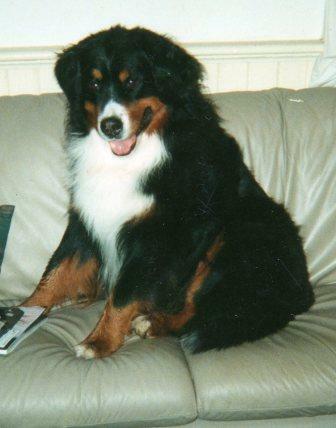 The sad part of all this is, he had no cancer, no other issues, in fact the vet said his blood work looked wonderful for a 12 ½ year old Berner, he just was so frustrated because he could not get up anymore and he was in pain from the arthritis and the pain medications were not working anymore. He was such a love and a sweet boy. 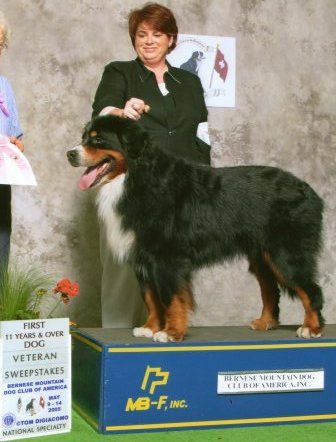 I knew before the specialty in 2006 that it would be his last and that I really should have left him home but we have done the specialty every year since he turned a veteran at the age of 7 and I just wanted our team to be together just one more time. He was the oldest boy in competion this year which was very special to me. As much as I will miss him, every day I look in my kennel yard and I know that his legacy is living on in his children, grandchildren and even great-grandchildren, and that makes me very content. CH. 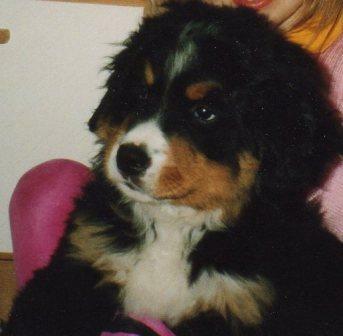 Philip Von Reimenbeet CD was my very first Berner, we bonded from the very moment I saw him at 8 weeks old on a German farm with all 14 of his brothers and sisters. 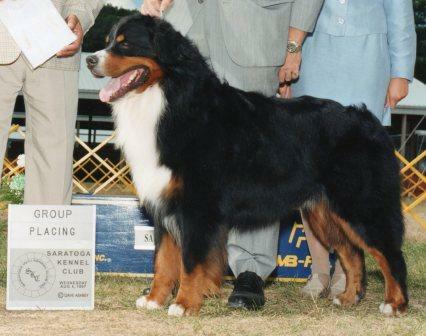 Back in 1994 we were assigned Phlip from the German Bernese Mt. Dog Club, which he was matched with a female we had gotten from Germany a year earlier. I flew over to Germany to pick him up. I met the stud dog and his owner and the family that bred Phlip, I guess that was kind of customary in those days. We drank their new wine they made and we went to lunch, it was a real family event. It was the way people from this kennel placed their puppies; it was a celebration of a puppy going to its new home. I have kept in touch with the breeder of Phlip after all these years. They are remarkable people. I brought him home in the plane with me and our wonderful bonding experience started at that moment. Phlip was a great companion and I will miss him terribly, but he gave me 12 ½ years of love and devotion. To all that knew him and have had puppies from Phlip I am sorry I have not told each of you separately but it is still hard to talk about. Sorry this is so long but I think writing this down has helped me with my healing. To my sweet Phlip boy, you will live in my heart forever. I wish I could give you one more kiss on your forehead. Thanks for letting me take this time to reminisce about my special Phlip. Phlip at 2 years old! Phlip at his last specialty at 12 years old.